I love meatloaf; let me clarify, I love my Nana’s recipe for meatloaf. It’s sweet, savory and perfect. But, I try to cut down on the red meat when possible. So, last night I took that recipe, modified it to meatballs and used turkey. End result? Wonderful! Give it a try! Add one egg and one cup of bread crumbs to the mix and continue. Shape into meatballs about 2 inches in diameter, set aside. In another bowl, combine the remainder of the Ragu sauce, brown sugar, Worcestershire sauce, mustard and vinegar. Set aside. In a small bowl, beat the remaining egg and egg whites and milk to create a milk bath. Coat each meatball with the milk bath then coat with bread crumbs. In a large skillet, heat the EVOO over medium high heat. Add the meatballs to the skillet, until browned (not cooked through), about 4 minutes, rotating to heat the entire outside surface of each ball. Remove the meatballs from the skillet and place them into a prepared 9X13 casserole dish. Cover with the sauce mixture. 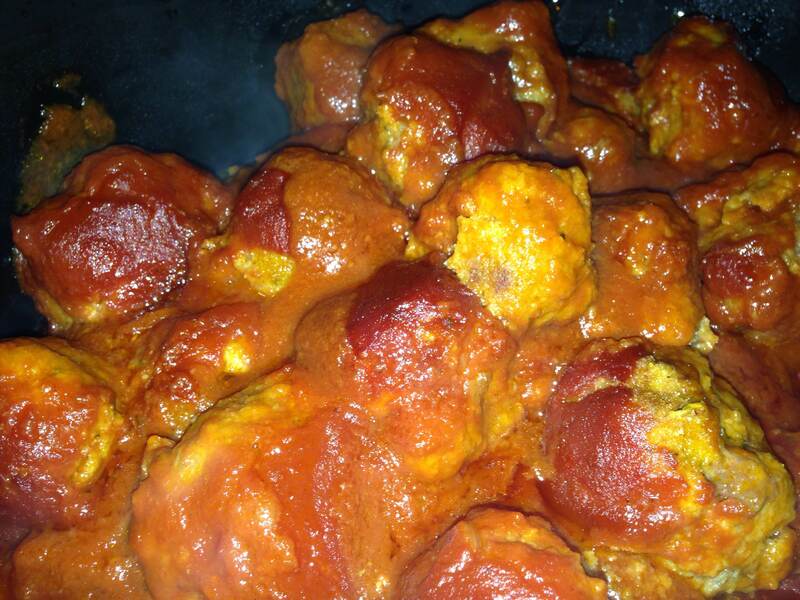 Place in the oven for 45 minutes until sauce is bubbly and meatballs are cooked through. Serve over pasta, on sandwiches or plain! Delicious any way! Give them a try today!